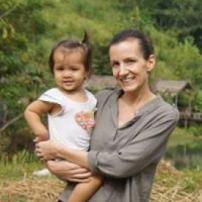 I am a freelance writer and experienced educator from Australia, currently living in Luang Prabang, Laos with my husband and young daughter. I have a keen interest in health and wellness, food and nutrition, trends of consumerism, the concepts of minimalism and leading a simple life, travel and the joys of experiencing different cultures. Looking to launch my own blog, A Simple Truth, in the coming months so stay tuned! The Keto Diet: A short lived fad or here to stay?